How much do you know about Concorde? 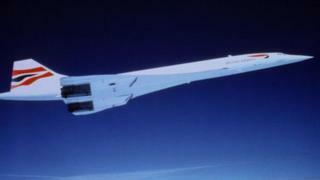 It's been 50 years since a supersonic plane called Concorde had its first ever journey. It was a turbojet that was created by English and French aircraft manufacturers. The plane doesn't fly anymore but it was a really big deal and changed the way people thought about air travel. Supersonic travel meant it travelled faster than the speed of sound. But just how fast is the speed of sound? The speed of sound is about 768 miles per hour and Concorde was faster than that. A flight to New York normally takes around 7 or 8 hours but with Concorde it could be done in just under half that time. Why did it stop flying? After a big accident in which people died, it became very difficult to keep up with the costs of running Concorde. Tickets normally cost thousands of pounds and after the accident people didn't want to buy tickets in the numbers that they had done previously. 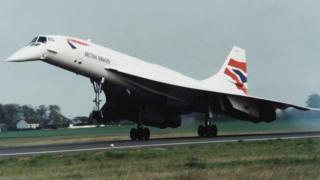 Concorde's final flight on the 24th October 2003 was broadcast on the TV. How did it change travel? It changed the way people thought about flying because it journeys were so fast. It was the first ever supersonic commercial flight and was a luxurious experience for passengers. Some companies are still considering bringing back supersonic flights.